In my last post about Budapest I talked about: ‘5 things to do in Budapest‘. This time I am going to talk about what/where to eat in Budapest. When people talk about Budapest they normally talk about the nightlife and not the food. Let me tell you that my friends and I came across some absolutely fantastic restaurants. The food is just as much part of the experience. Bali Caffe. Located right next to the Astoria metro stop. Our tour guide recommended this restaurant to us to try some typical Hungarian dishes and we certainly were not disappointed. 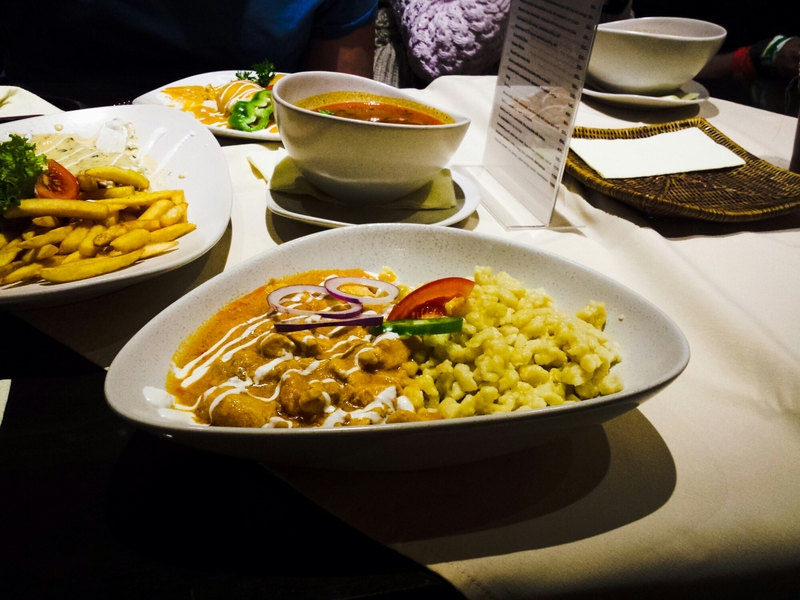 Between us we had these classic Hungarian dishes: goulash soup, the paprika chicken with butter noodles and the pancakes, which were savoury. The dishes are reasonably priced, the staff were nice and they have free wifi too. There was a little supermarket near our hostel that sold some typical Hungarian pastries and bread. They can be found all over the city. My favourite was the bacon and cheese bread. I know that this isn’t Hungarian food, but we had to go after all the staff at the hostel kept recommending it. 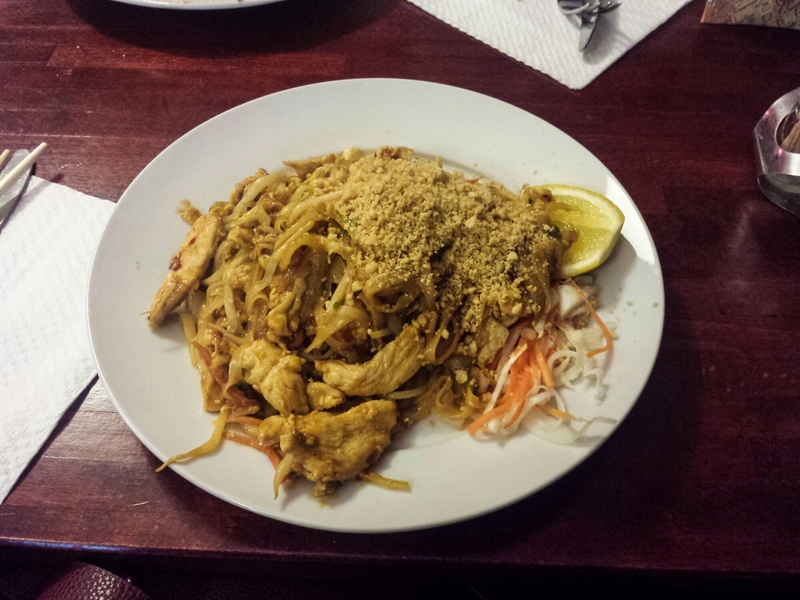 All of their rave reviews were correct and I ate the best pad Thai of my life. I honestly didn’t think it would be that good, but apparently you should always take food recommendations from drunk Australians. They have several locations throughout the city. Look here to find the closest location to you. This place was also recommended by the hostel staff and they were right about it being amazing. All of the humus is homemade and there are many dishes to choose from. You can see the menu here. All of the staff were nice and it was reasonably priced. 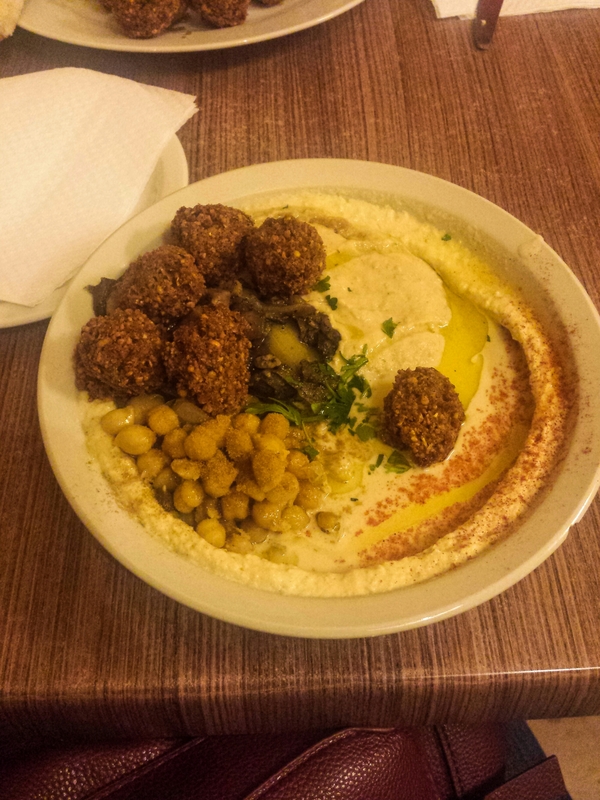 I got the humus complete dish with chickpeas, falafel, mushrooms and of course humus. Hopefully, if you go to Budapest you will be able to eat all of this food. 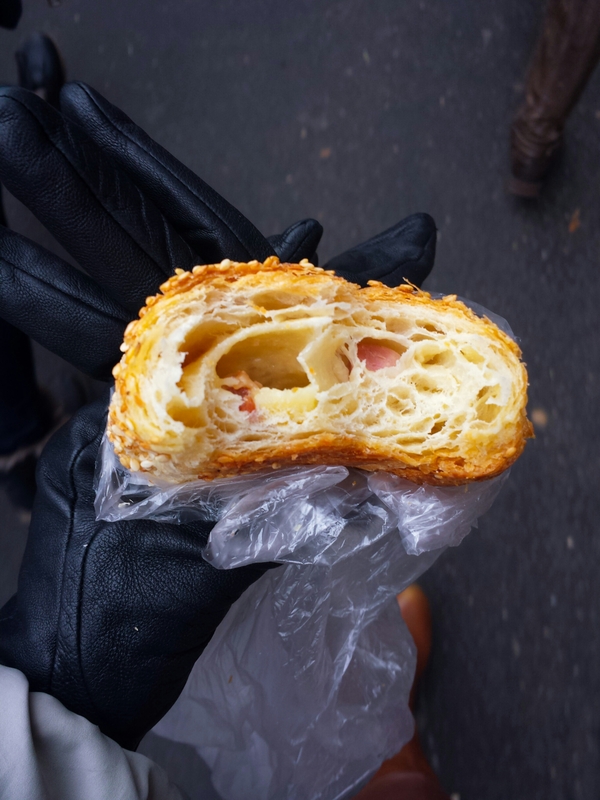 Budapest is like foodie heaven. I would go back in a heartbeat! Have you ever been to Budapest? Any restaurant recommendations to add?